Product prices and availability are accurate as of 2019-04-08 02:13:41 EDT and are subject to change. Any price and availability information displayed on http://www.amazon.com/ at the time of purchase will apply to the purchase of this product. This beautiful wall mounted votive candle holder adds sophistication and elegance to any bathroom or other area. From the montero collection, it fits well with any bathroom décor ranging from modern to traditional, and all styles in between. Made from the finest high quality solid brass materials and finished in a lifetime designer finish, this classic votive candle holder is extremely attractive and sets the mood for a romantic candle-lit bath for two. 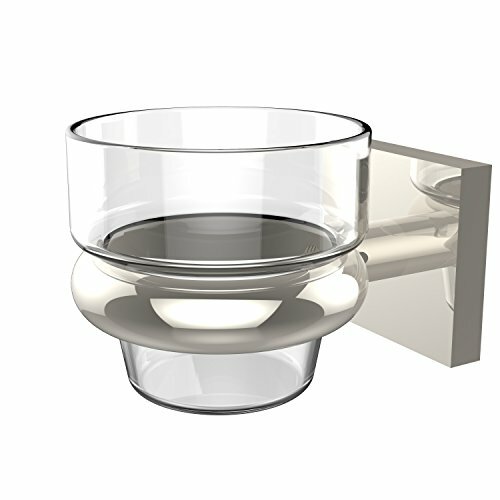 The votive candle holder comes with the wall mounting bracket, glass candle holder insert, and the hardware necessary to install it. Whether your bath décor features traditional old world styling or a cleaner, more contemporary design, the montero collection has bath accessories to meet your design and decorating needs. All of the montero collection products come with a limited lifetime warranty.